Please visit this page frequently to learn of any band fundraisers that are taking place. Remember that students can fundraise to help raise money for their Fair Share Fees! Scrip is Fundraising while you shop!! Scrip is an incredible fundraising tool for non-profit organizations like schools, churches, athletic groups, bands, community organizations and more. We earn money for our students and Booster organization just by using gift cards to pay for your everyday purchases. Students can receive credit towards their band fair share or other expenses. It's that simple! For a list of available cards/retailers see https:// www.scripzone.com/certificatelist.aspx. Simply email MHavens@sc.rr.com or text: 803-606-7126 your order by 9:00 pm on MONDAYS and the cards will be returned at 6:00 pm on THURSDAYS at the band room. Or download and fill out the form below and return to the band office with your payment to get started. It really is a win-win situation, and helps with your child's band fees. Recycle your used printer cartridges and cell phones to earn money for our band program. There is a green bin in the front of the band room. Contact David Allison for more information on this recycling program. Publix Super Markets has a great program that will enable our band program to make money every time we shop at Publix. It’s simple: you only need to present the Publix Partners card when you shop and Publix will handle everything else. 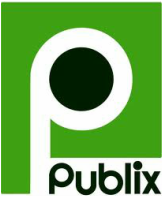 Please note that SV Band has a Publix Partner card as well as SVHS, so please be sure to present your SV Band Publix Partner card in order for our program to receive credit. Our Publix Partner Card lists Spring Valley Band Booster on the back of it. For every $37,500 our supporters spend at Publix, $250 will be given to our band booster at the quarter’s end. If we haven’t reached the $37,500 mark by the end of a quarter, our balance will carry over to the next quarter. ​Let the cashier know you have a Publix Partners card at the beginning of your transaction. Your card is good at select Publix locations in Georgia, Alabama, South Carolina, and Tennessee. Therefore, please give your family members that live in these other states a Publix Partner card to help support our band program. Thank you for joining us in supporting this valuable program! To get your Publix Partner Cards drop by the band office. They will also be available at our Band Booster meetings.